Animal care at the shelter is provided mainly by volunteers, and we can almost always use volunteers who can commit to helping on a regular, weekly basis. Volunteers work every day of the year, in most weather conditions. Please understand this is an expectation of your commitment. Volunteer positions are filled based on shifts’ needs for additional help. We do not offer short-term community service opportunities; volunteers are asked to make a minimum commitment of three months. Volunteers are assigned a once a week shift (usually 2 hrs.) during the shelter's visiting hours. (See hours at bottom of page.) There are also volunteering opportunities on weekday mornings with the cats. Volunteers choose to work with either cats or dogs. Volunteers feed the cats and dogs, clean the cages and litter boxes, launder bedding, walk the dogs, clean the shelter, and socialize the animals. We expect all volunteers to help with the cleaning tasks, since keeping the entire facility clean is vital to providing a healthy environment for the pets and their caretakers, and is also very time consuming. In addition, we want to make sure all the animals get love and attention while we're there. Volunteers should be able to take initiative for tasks needing to be done, and work independently without supervision, after training. If you are interested in volunteering, please fill out the Volunteer Application and email it to the address below, or bring it to the shelter. (If you email, please try to send the application as an attachment rather than a scanned image.) Volunteer applications are also available at the shelter. 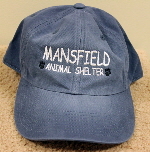 For additional information, e-mail: volunteers@mansfieldshelter.org. We will review your application to determine if there is a match between the hours you are available and our current openings. Thanks. You must be at least 16 years old to volunteer. Young people under 16, see our Kids for Critters page.